Topshop, the mega-popular women’s fashion retailer, offers a 10% student discount on all purchases. To receive the discount, students must register beforehand with a pre-approved service. How good is the Topshop educational discount? If you want a student discount from Topshop, you need to be prepared. Don’t think you can simply whip out your student ID and be done with it. That said, Topshop offers a number of different options for scoring your discount. Considering that you’ll likely buy clothes there sometime during your college career, you would be wise to take advantage of at least one of these offers. For online or in-store purchases, the easiest way is to register an account with StudentBeans. This gives you an instant online code that you can use for 10% off. Alternatively, if you own a Student Advantage Card, you also qualify for the discount. Your Student Advantage ID can be used both for online and in-store purchases. Finally, UNiDAYS also offers student deals. Regardless of which method you choose to verify your student status, you’ll still enjoy a 10% discount off of all Topshop products. Simply click the button at the bottom of this page for the latest deal. For Americans, it’s easy to get Topshop and Topman confused. Owned by the same parent company, they almost always share the same retail space. Here in the states, you can usually find them in Nordstroms. For those who get confused: Topshop sells women’s clothing, while Topman sells men’s fashion. 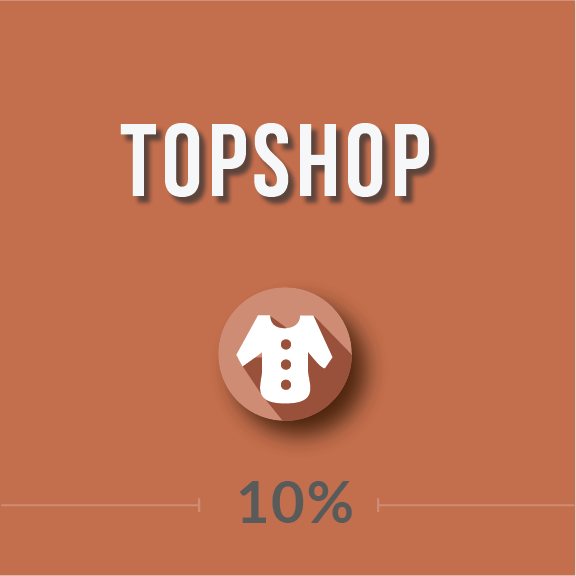 There are over 500 Topshop stores worldwide, but fewer than 100 in the US. They are a strong and rising brand, so this seems like a great student discount.